Romanian-born violinist Vasile Beluska graduated with honors from the Liceul de Muzica and the Conservatorul de Muzica G. Dima in Cluj, Romania. He is an internationally renowned performer, and a recently published author. 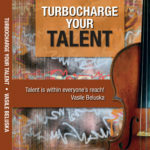 Check out his book, "Turbocharge Your Talent" to discover his belief that talent is available to everyone. Scroll down to learn more about this talented artist. Romanian-born violinist Vasile Beluska graduated with honors from the Liceul de Muzica and the Conservatorul de Muzica G. Dima in Cluj, Romania. After immigrating to the United States in 1977, he earned a Master’s degree from Southern Methodist University and later became a member of the Class of Jascha Heifetz in Los Angeles. Professor Beluska is a frequent lecturer on his new approach to pedagogy, “Talent Development.” He has presented lectures and master classes throughout the United States, Canada and Europe and has been a frequent presenter at conventions for music and humanities. Vasile Beluska successfully mixes his active performance schedule with an outstanding academic career. 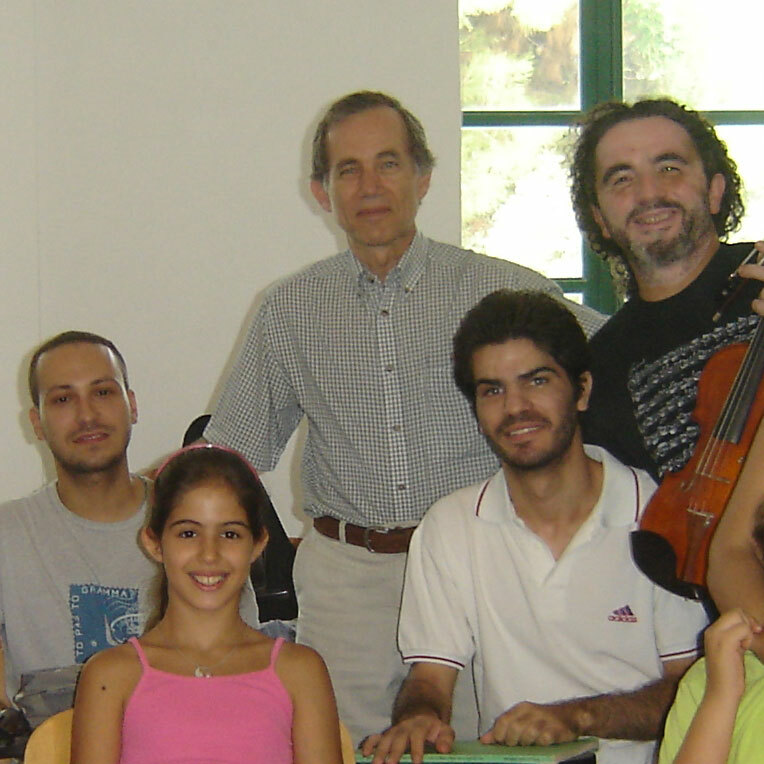 He is a Professor Emeritus of Violin in the College of Musical Arts at Bowling Green State University in Ohio. He has also held teaching positions in Romania and at the University of Northern Iowa, the University of Wisconsin and at summer festivals throughout the U.S., including 15 consecutive years at the Chautauqua Institution Summer Music School in New York. Romanian-born, graduating with honors from the Liceul de Muzica and the Conservatorul de Muzica G. Dima in Cluj, Romania. After immigrating to the U.S., he earned a Master’s degree from Southern Methodist University and later became a member of the Class of Jascha Heifetz in Los Angeles. Retired after serving a 28-year career at Bowling Green State University (BGSU), College of Musical Arts. Rounding out a lifetime passion for music, Vasile published his thoughts that talent is available to everyone. In true “East meets West” fashion, an exciting exchange of ideas and talents occurred this summer between Bowling Green State University and the Sichuan Conservatory in Chengdu, China. One of the most notable outcomes was establishing the groundwork for an exchange program of faculty and students from the Conservatory with BGSU. Vasile Beluska, Professor of Violin at Bowling Green State University recently received the ‘Award for National Service’ from the American Hungarian Federation (AHF). The award was presented at the National American Hungarian Federation gala in New Jersey. Professor Beluska, who serves as Cultural Advisor for the AHF, also performed at the event. Vasile Beluska honored with Ellis Island medal for bridging continents, lives. Vasile Beluska’s first impressions of America were straight out of a John Wayne movie: Levis, cowboy boots, cowboy hats. And that was before he even got off the plane. Then it was big cars with fins on the back and cattle with long horns—a typical day in Amarillo, Texas, his first home in the United States. For the violinist and political refugee from Romania, life in the U.S. was a whole new world. Beluska was honored for helping other musicians from Eastern Europe come to the U.S. and develop their own careers. Both in the U.S. and Europe, countless students and others have benefited from his generosity, service and talents. He has performed to high acclaim throughout the United States, Canada, Mexico, Europe and in China as soloist, in recital and with several chamber ensembles including The International Trio, American Arts Trio, the Mozart Fortepiano Duo and The Guarneri Duo. He has recorded for public television and radio in Iowa, California, Wisconsin, Ohio and New York. 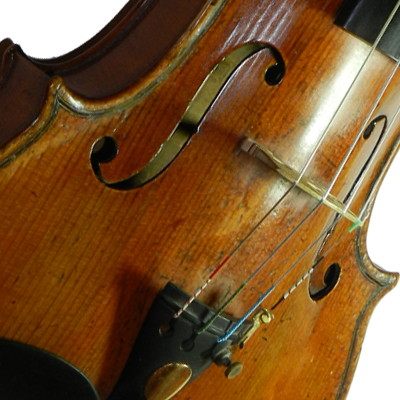 Chamber music performances include appearances at the Mozarteum in Salzburg, the Kennedy Center, the United States Capitol, Carnegie Recital Hall, the Chautauqua Institution and the California Music Center. Concert tours have earned him excellent reviews in the United States, Mexico and Europe. Recordings include three CDs released on KVR Classics. His book, "Turbocharge Your Talent," was published in 2017 and is also available through KVR Classics.